As a pre- Christmas present to our Dooa customers we have an array of Super Save deals as part of our pre-Christmas offers. Save up to 20% on award-winning Dream Girl hair extensions, we have bulk discounts on cosmetics too! There are products including Nubian Queen, Johnson & Johnson, Clear Essence, Got2b, Bragg, Astral, Dettol and much more are on offer. Take advantage of these exclusive offers NOW before it runs out! For more information contact your dedicated Account Manager or Customer Service team via; Phone: 0208 961 7978 , E-mail: orders@dooa.com , Fax: 020 804 30019 , WhatsApp: 07568104862 . For more information contact our Customer Service team via; Phone: 0208 961 7978 , E-mail: orders@dooa.com , Fax: 020 804 30019 , WhatsApp: 07568104862 . We have the new X-Pression two toned (ombre) extension now available, this is a popular product on the market and is selling fast. Get it now before it runs out! E-mail: orders@dooa.com , Fax: 020 804 30019 , WhatsApp: 07568104862 . 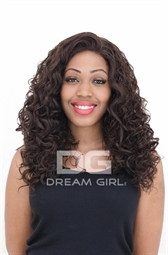 Award winning Dream Girl hair now available, prices from 79p! We have over 5,000+ wigs, clip ins, ponytails, extensions and much more available, you will definitely find what you are looking for! There is still time to take advantage of the Buy 1, Get 1 FREE offer on our popular Paltas Hair Treatment and Paltas Oil Sheen Spray. These products will leave your hair looking and feeling great. Additionally we are offering a discount on over 40+ products, including Eco Styler, Paltas, ORS, Revlon, Crazy Colour and much more. Click here to view our special offer. Don’t miss out on the ultimate CARNIVAL summer offer! The Notting Hill Carnival is taking place next week and we are joining in the party by offering a discount on over 50+ products in honour of this extravagant event. And that’s not all, we also have; Buy One, Get One FREE on our popular Paltas Hair Treatment. 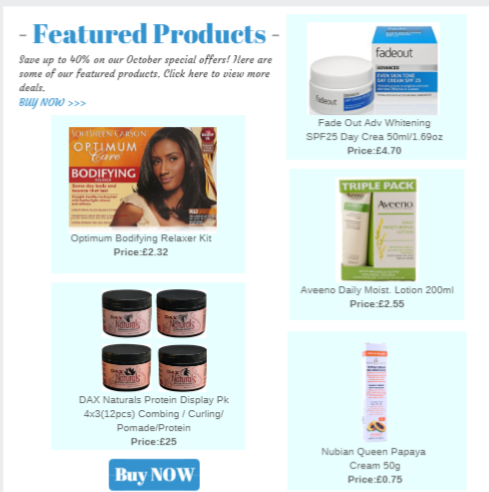 Our June Special Offers are now available just for you! We have some great offers from Cantu, Shea Moisture, DNR, ORS and more. Click here to view products on offer. Please note, the special offer is valid from Saturday 16th of June – Saturday 30th of June. In the past month a lot of great things have been happening at Dooa including the introduction of our Dooa Delivery Van, which will predominately serve our customers in Greater London. We have reduced our minimum order value to only £400 (net value on mixed orders) when using our Dooa Delivery Van. This will give you the flexibility and ability to respond to your company needs rapidly. Contact the Dooa Customer Service team to find out more. If you have any questions please contact a member of our friendly and professional customer service team who will be more than happy to assist you. Contact us on 0208 961 7978 or email customercare@dooa.com . We look forward to hearing from you and wish you a great week ahead. 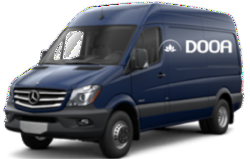 Back by popular demand, Dooa Delivery Van and reduced minimum order! We are excited to announce, we have reintroduced our Dooa Delivery Van which will be transporting goods to you and delivering an excellent service. We will be delivering across London and Greater London, 5 days a week (Monday – Friday). Additionally we have also reduced the minimum order value for free delivery from £1,200 to only £400 (net value on mixed orders) when using our Dooa Delivery Van. This will give you the flexibility and ability to respond to your company needs rapidly. Dooa Group will be closed for Easter Holidays. 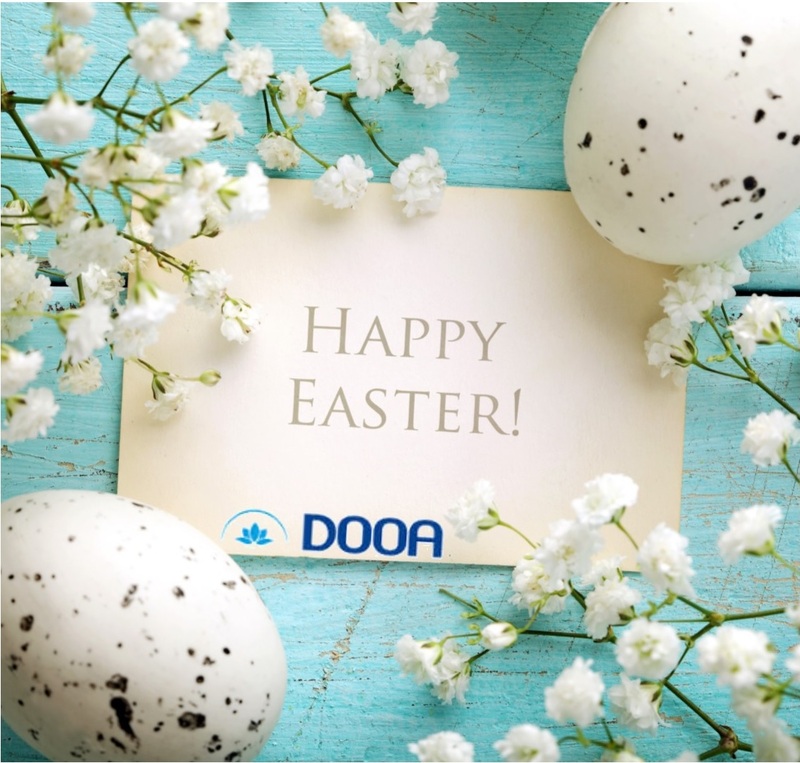 To all valued customers, Dooa Group will be closed Friday, April 3, through Monday, April 6, for the Easter public holidays so that our team may enjoy time with family and friends. The company will resume normal operations on Tuesday, April 7. All sales enquiries will be returned beginning Tuesday, April 7. We thank you for your understanding and wish everyone a very safe and happy holiday! Summer is here! And what better way to get ready for the Bar-B- Q’s and Beach Parties than to look smashing with stronger, healthier hair and sun kissed skin. Shea Moistures new range of Coconut & Hibiscus Collection blends exotic fruits and floral ingredients for radiant skin and hair. The Island-inspired collection remedies some of the most common beauty issues; including dull and dry skin as well as skin discolouration. Fragrant Hibiscus Flower tightens and tones the skin, while Songyi Mushrooms even and brightens the complexion. Rich Coconut Oil and Shea Butter provide a mix of intense moisturizers that penetrate the scalp, hair and skin. The Shea Butter also tames the frizz, while defining and maintaining your natural curls. A great way to lavish your skin and hair is to use products from Shea Moistures new Raw Shea Butter Collection. Not only do they provide extreme moisture and nourishing vitamins, with fatty acids, to your hair; but they also deeply infiltrate and restore dry skin on the scalp and body. To be able to have soft, smooth and conditioned skin, Shea Moisture used a family recipe that blend only the purest Raw Shea Butter, with rich, nourishing natural nutrients which help soothe and revive sensitive and broken skin. Shea Moisture also created the Yucca & Baobab Collection which helps strengthen and volumize fine, lacklustre hair. Baobab is filled with nutrients and has vitamins such as A, D, E and F that help restore and moisturize the hair; and Yucca helps thicken and strengthen weak and thinning hair. For some people hair extensions are just a fashion statement but for some it can be the boost of confidence they need. 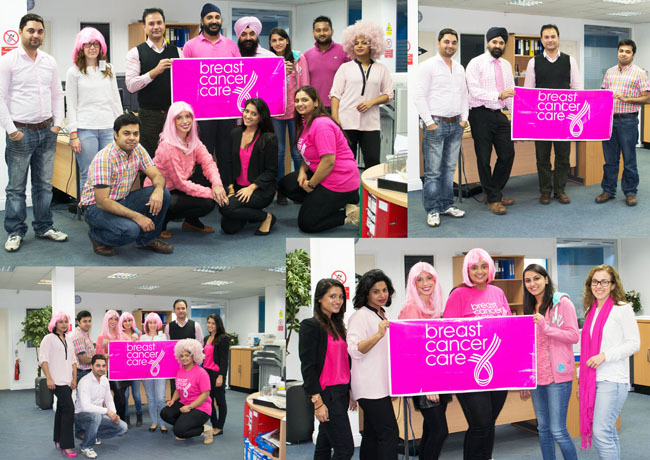 Dooa has decided to team up with breast cancer care to show our support. Talking about breast cancer and getting the right support for everyone involved can be difficult, around 55,000 people are diagnosed with breast cancer each year, 400 of them are men. More than 8 out of 10 people survive breast cancer beyond five years; this is down to the earlier detection and better treatments after the diagnosis of breast cancer. It is thought that around 550,000 people are alive in the UK who have been diagnosed with Breast Cancer. So during the month of October we at Dooa felt that participating in a Pink Friday would be the ideal event to make a difference and what a turn out it was!!!! We are very pleased to announce that we raised a grand total of £150! This money not only helped to buy a suitable headscarf for someone who is undergoing treatment, but also matched someone with breast cancer to a trained volunteer for one-to-one support.